It’s almost ten years ago now that, in anticipation of the Gold Coast Suns and GWS Giants joining the competition, the AFL surveyed fans on a number of expansion related issues, including the size of the finals series. Fans voted overwhelmingly in favour of retaining the current eight-team finals model, and it was a good choice. While the additions of the Suns and Giants did increase the size of the league, both clubs were predictably uncompetitive in their early seasons and to so quickly expand the finals series would’ve been a mistake. Sometimes, however, the passage of time transforms bad ideas into good ones. In 2019, the AFL is ready for a ten-team finals series. Why? Simply put, the league has now become competitive enough that teams who are good enough to play finals are missing out. The last four seasons have all seen at least one side win 12 games but fail to make the top eight, something that happened just twice in 16 years prior (not counting Essendon’s 2013 exclusion). And then last year in 2018, no fewer than four sides – North Melbourne, Port Adelaide, Essendon and Adelaide – finished the season with 12 wins, but outside the top eight. Now let’s be clear – 2018 was probably something of a mathematical anomaly and is unlikely to happen again anytime soon. Still, it’s clear we have quality teams enough in the AFL to justify an expanded finals series. For the past three years we’ve had a pre-finals bye round where no AFL-level football takes place, but this could easily be filled by what pundits have often dubbed the ‘wildcard weekend’. Set up elimination finals in this weekend where seventh hosts tenth and eighth hosts ninth. The losers of these matches are eliminated, and the winners take the places that seventh and eighth would typically fill in the current finals system, which then plays out as it normally does from the following week onwards. Of course, there are potential variant options. 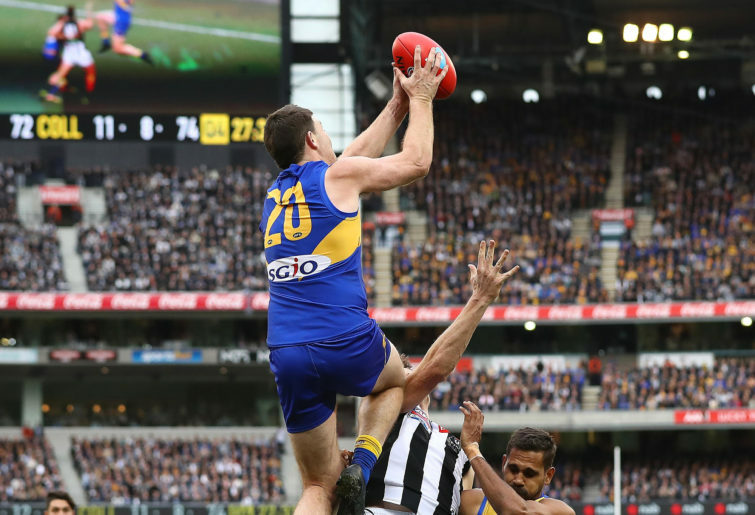 It would be a simple adjustment for example to a top-nine system with only one match on the opening weekend between eighth and ninth, if the league wanted to ensure that only the top half of the ladder qualifies for finals. The AFL could even bring in a rule that every team which records at least 12 wins makes the cut and plays an elimination match against the corresponding top eight team (this certainly would have made last year interesting). The AFL wins. They’ve got extra finals matches available to be monetised and no longer have to cop a blank weekend on the calendar, offering the NRL a golden ticket to dominate the back pages. The clubs win. Everyone wants to play finals and now two more clubs make the cut. That means more momentum and more membership sales for the following season. The players win. More players get to play finals! Finals, as players often tell us, are the reason players play the game – so players win. The fans win. More fans get to see their club and players make finals, and we no longer have to say ‘eh, I guess I’ll watch league’ during the pre-finals bye. Who loses? The teams who finish seventh and eight might be a little peeved at losing a pre-finals bye, but surely this is balanced out by the chance to host – and likely win – a home final.